What qualifications do I need to become a volunteer firefighter with the UMFC? The most important qualification is motivation, a true desire to help your fellow residents and your community. We do have a minimum age requirement of 14 for junior members and 18 for active members. Apart from that, there are no other qualifications, including previous firefighting experience. Do volunteer firefighters get paid? No. All members of the UMFC are unpaid, professionally trained volunteers. Our volunteer status saves residents millions of dollars in salaries and benefits each year. Plus having a local fire company helps to lower homeowner insurance rates. How many hours do volunteer firefighters work? We do not require a minimum number of hours per week or month. We do expect that you’ll attend our twice-monthly drills, periodic community activities and monthly general meeting. In addition, it’s critical that you respond to as many calls as you can. How will I train to be a volunteer firefighter? Once you’re a member, you’ll need to achieve your Firefighter 1 designation via a Bucks County Community College sponsored no-cost program that’s a combination of classroom learning and drills. At the same time, you’ll learn from UMFC firefighters as you ride along on calls. After you achieve Firefighter 1, we expect that you’ll take continuing education classes to enhance your firefighting abilities, add value to the fire company, and help keep you and your fellow firefighters safe. What are the best aspects of being a volunteer firefighter? Helping our neighbors in their time of need is immensely rewarding. We know we’re making a difference. Beyond that, our members appreciate the camaraderie and friendship we all share. We have fun together—and we’re incredibly serious when we need to be. Should I start a physical training program before applying to be a volunteer firefighter? Yes. Firefighting is a physically taxing activity. While you’re not required to be involved in a specific program, conditioning will be important to help you achieve the physical standards needed to be a firefighter. Therefore, joining any of the local gyms or health clubs is strongly advised. Once you’re an UMFC member, you can use our in-station fitness center free of charge. Can a volunteer position lead to a career in firefighting? Yes, but most of our members do not go in this direction given they’re already in other careers. That being said, volunteer firefighting can be an excellent stepping-stone to a paid firefighting role, given the training and experience you’ll gain. In addition, your volunteer firefighting experience can provide leadership and decision making skills that can be leveraged in any career—and valued by prospective employers. 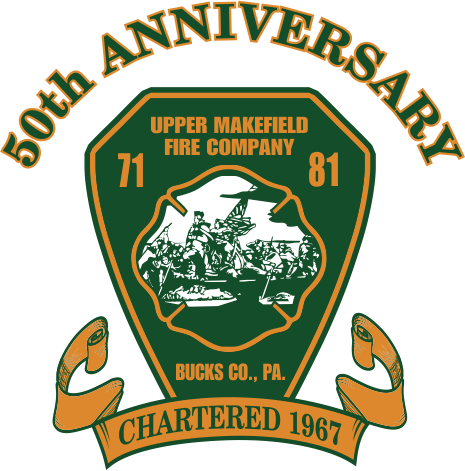 Can I become a volunteer Emergency Medical Technician (EMT) through the Upper Makefield Fire Company? Yes. Many of our members are EMTs. In addition, our Taylorsville Road station houses the EMT/paramedic squad from St. Mary’s Hospital. What is the first step to volunteering? Contact us. We can arrange for you to come by the station for a tour, learn more about what it takes to be a volunteer firefighter, and set-up interviews.